Is this the real life? Is this just fantasy? The only thing for certain is that for Kamiyama, Cromartie High School is his reality. And what a surreal reality it is. Because this is where the toughest, meanest (and, often dumbest) students are sent to do time. At Cromartie, purple-mohawked bruisers and pencil-chomping street thugs are just part of every day life. And so is a 400-pound gorilla. And a macho brute named Freddie who travels with his own theme music. And, of course, Mechazawa, the student voted most likely to need an oil change. 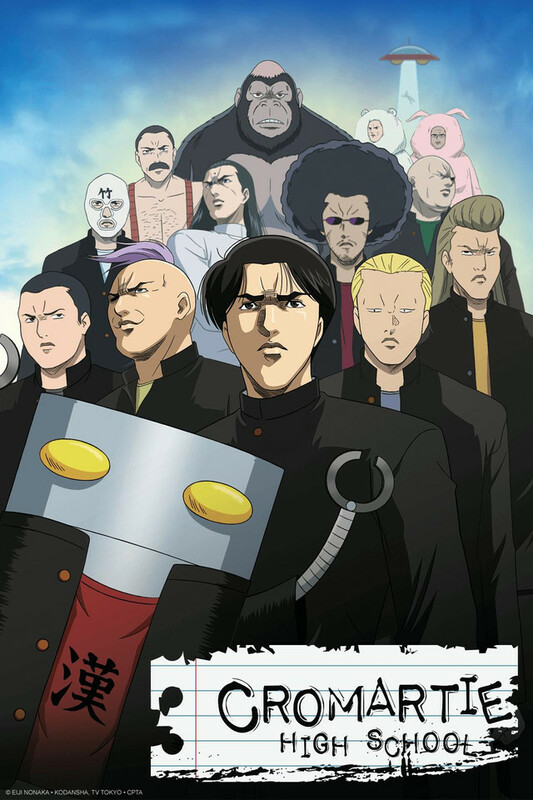 So pack your bags, put on your best tough-guy swagger, and get a lesson in insanity from the hilarious losers at Cromartie High. This is one class you won't ever want to cut.